Warm up with a great auto refi rate! 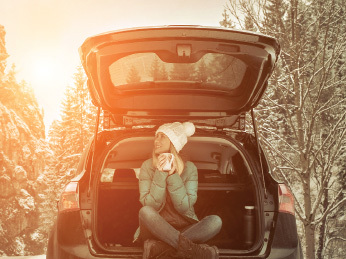 Warm up with an auto loan refinance from Bay Cities Credit Union and you could melt your interest rate by 2% APR. * We’ll make the process easy and painless, plus we’ll start saving you cold, hard cash right away. But hurry – this offer is only in play through 3/31/2019. So refinance your auto loan today at 510.690.6166 or Apply Now, and get warm and cozy with Bay Cities! *APR=Annual Percentage Rate. Limited-time offer. Promotional offer valid 1/1/19 – 3/31/19. Includes refinance of vehicles 7 model years old or newer. Minimum loan amount $6,000 with a floor rate of 2.00% APR. Existing loans at BCCU are not eligible. Applicant must be a member in good standing and meet all lending requirements. Loan being refinanced must not be in default. Loan decisions are based on applicant creditworthiness. BCCU reserves the right to terminate this promotion at any time without notice.